You may be surprised to learn that regardless of career or workplace, every weekday most employed adults all take part in the same extremely risky activity—driving home from work. According to the National Highway Traffic Safety Association (NHTSA), most automobile accidents occur during "rush hour," between 3 p.m. and 6 p.m., Monday through Friday. This is when traffic volume, of all types, is at its highest. It makes sense that more vehicles on the roads means more accidents, but it's not just the additional cars that are to blame. Multiple unsafe factors combine during rush hour to create an extremely dangerous environment on our roadways. Sun glare, that blinding sunlight coming through the windshield, is one of the most dangerous, yet overlooked driving hazards. It's at its worst roughly an hour after sunrise and before sunset, which often coincides with rush hour. Sun glare is also especially powerful in early spring. Some safety experts believe that sun glare is even more unsafe than rain or fog, because motorists drive slowly in inclement weather but not on a bright, clear day. 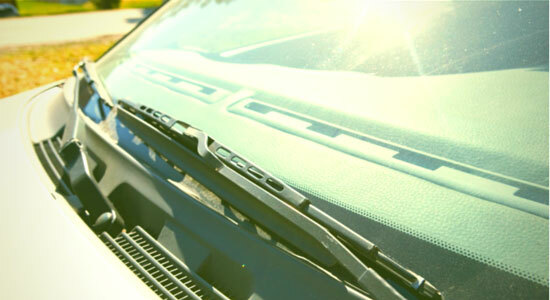 Having a dirty windshield often worsens sun glare, as sun illuminates the dust and streaks we typically don't notice, so be sure to keep your windshield streak-free. Aggressive driving occurs when a motorist commits multiple traffic offenses all together, like following too closely, speeding, unsafe lane changes, or failing to signal intent to change lanes. No one plans to drive aggressively, but this type of unsafe driving is often triggered by traffic congestion or unrealistic time constraints. As a result, the aggressive driver generally commits multiple violations in an attempt to make up time. Tight schedules and traffic congestion both come into play during rush hour, which makes it the top time for aggressive driving to occur. Try to leave yourself plenty of time to commute to and from work to avoid driving in this destruction manner. 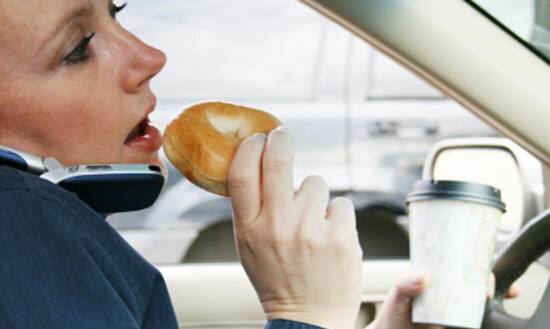 Engaging in tasks like reaching for an object or dialing a phone, make you three times more likely to have a car accident. Busy commuters have no shortage of seemingly insignificant tasks to complete before they get to work in the morning or home from work in the evening. They check email, put on makeup, drink their morning coffee, touch-up hair, or squeeze in a quick pre-work breakfast. In the evening, they make plans with texts or calls, or get themselves ready for post-work activities. Regardless of the task, neither their thoughts nor their eyes are on the road, which creates serious potential for accidents to occur. Working adults are some of the most fatigued drivers on the road, and fatigue combined with stressful, rush-hour traffic conditions lead to accidents. Recent evidence suggests employees who work non-traditional hours, and thus are less likely to drive during rush hour, have lower all-around accident rates. Unfortunately, the majority of industries run on a 9 – 5 schedule, so avoiding the roads during rush hour may not be an option for most. Make getting a solid night's sleep a priority if you often find yourself driving drowsily. Or, carpool with a friend or co-worker on your commute. Having one other passenger in the car is a great way to keep you awake and alert behind the wheel. Whether you work in one of the 5 deadliest occupations in America, or you make your living sitting quietly at a computer in an office building, if you travel by automobile, your evening commute is likely the most dangerous thing you do all day. Stay safe on your commute by recognizing the potential dangers during rush hour, and taking steps to combat them. Even taking preventative steps yourself can't always stop accidents from happening. Sometimes other drivers are to blame for car accidents. If you're ever injured in a car accident, our attorneys are here to help. 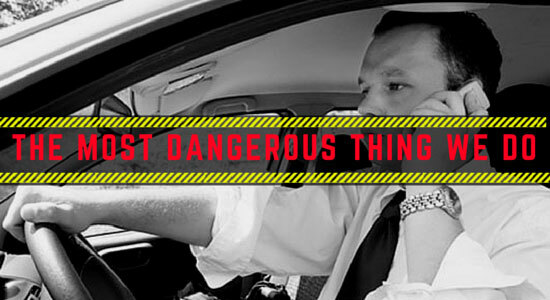 Sources: “The Most Dangerous Times on the Road.” Backtrack.com. March 18, 2015. “Glaring Danger.” Sunposition.com. March 18, 2015. 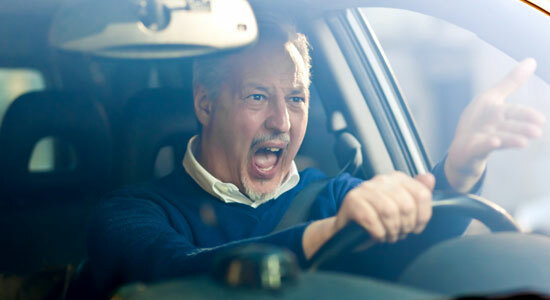 “Aggressive driving and road rage: they aren't the same.” Drivers.com. March 18, 2015.